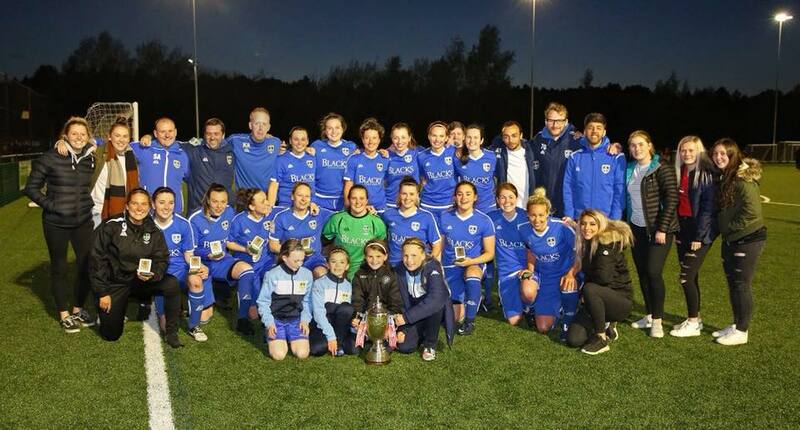 Midweek County FA Cup finals saw Norton & Stockton Ancients cause something of an upset, Guiseley Vixens come from behind to win, with victories also for Keynsham Town and TNS, plus a comprehensive one for Coventry United. 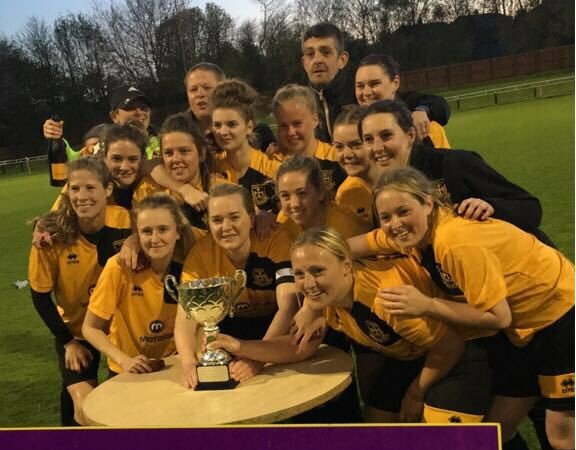 North East League Norton & Stockton Ancients pulled off a Durham Cup final victory on penalties over FAWPL side Chester le Street Town. They twice lead as Nyci Thorns netted her 100th goal for the club and Shannon Reed restored the advantage but Town swiftly equalised on each occasion. But when it came to the shoot-out, Norton edged it by five goals to four. Keynsham Town were 3-0 winners over Larkhall Athletic in the Somerset Senior Cup final at Bishop Sutton FC. One up at half-time, Justine Lorton doubled the lead shortly after the restart and the victory was sealed with a late penalty. 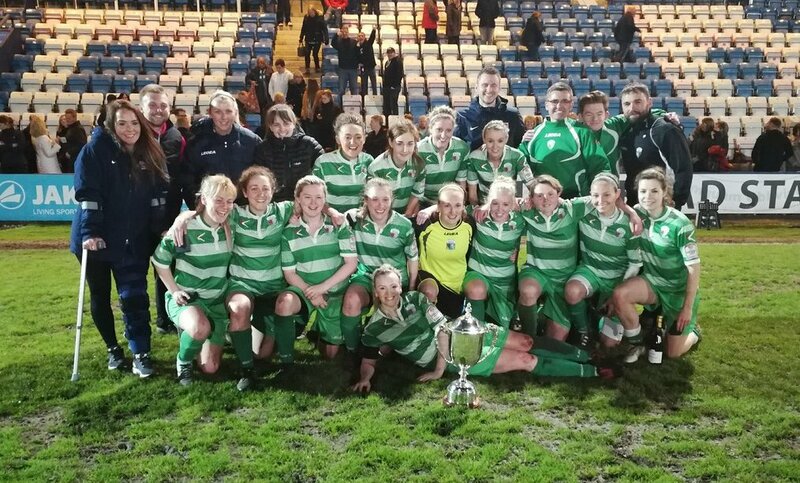 TNS took the Shropshire Cup with a narrow 1-0 victory against Shrewsbury Town at AFC Telford. Louise Anderson got the only goal to defeat the underdogs from the West Midlands League. Coventry United strolled to a Birmingham Cup final win when thrashing Birmingham & West Midlands 15-0, scoring eight times before the break. There were hat-tricks for Jade Formaston, Lois Jefferies and Helen Dermody (including a penalty), Maz Gauntlett got two, Amber Hughes, Stephanie Smith, Lauren Garner and Callan Barber one each, the latter with a spot-kick, while the opposition were denied a consolation with a penalty coming back off the crossbar.